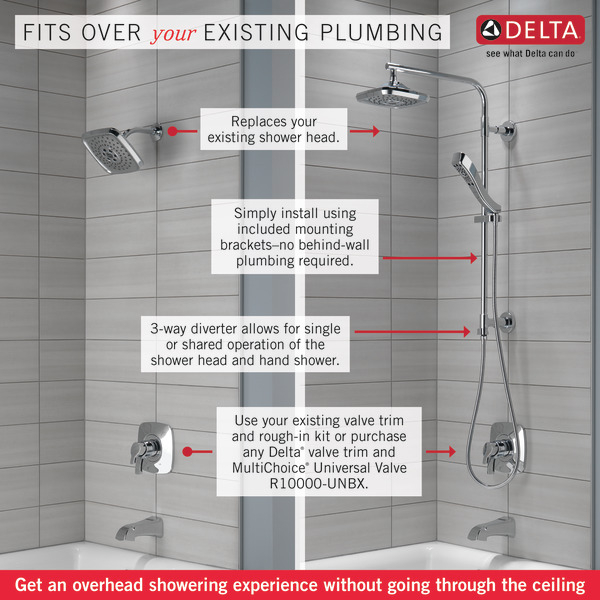 Can you use the R10000-UNBXHF valve instead with this unit? 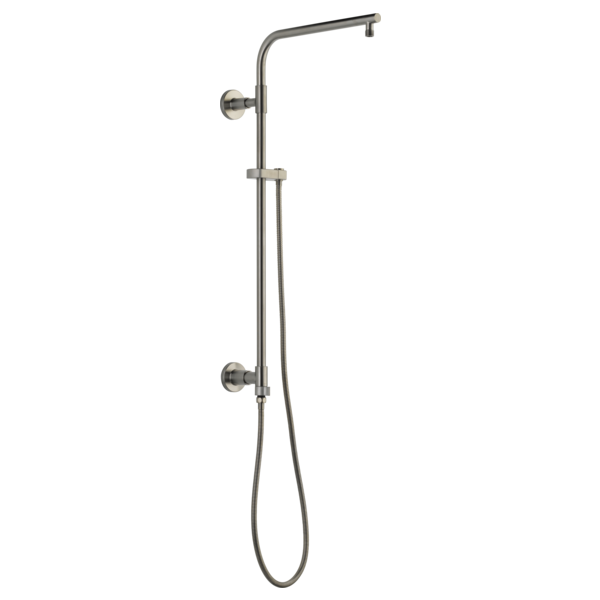 My new shower 58820SS has been installed too high to reach the shower head for adjusting. 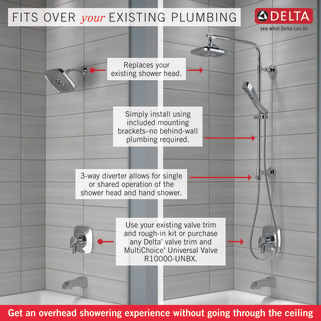 I would like to install a drop down pipe in matching finish between the Overhead Shower Arm to the shower head. 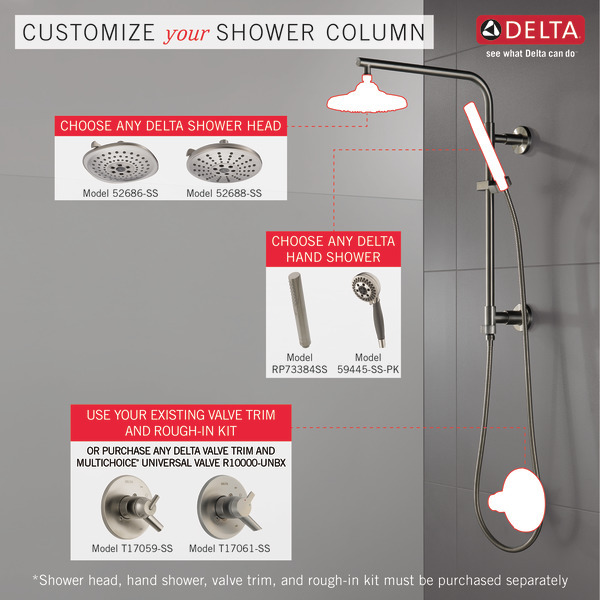 Does Delta have such a pipe about 12&quot; long? Are any of the Emerge shower columns available in a bronze color? 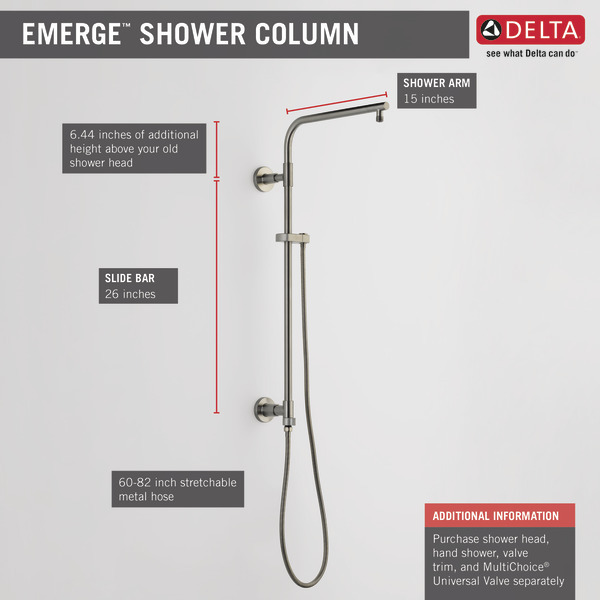 RP100181 is shown as an option with the 58820 Emerge Shower Column is just purchased, which one is normally supplied with the unit? ?